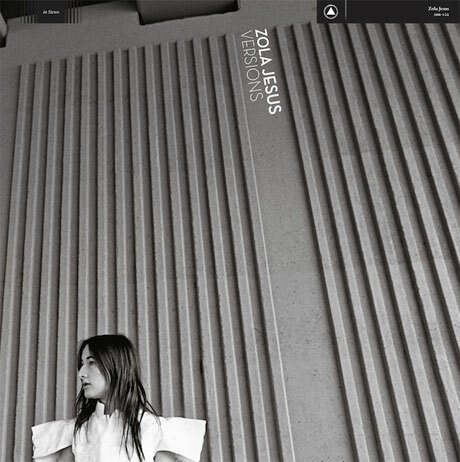 Zola Jesus' output to date has spanned electronic pop and goth-y post-punk, and now she's getting ready to put a new spin on her catalogue with an album called Versions, which contains new arrangements of old tracks. It's out on August 20 through Sacred Bones. These arrangements were created with industrial/no wave producer JG Thirlwell (a.k.a. Foetus). They were premiered last year during a performance with the Mivos Quartet at New York, NY's Guggenheim Museum. These live cuts have now been adapted into studio versions. Zola Jesus said in a statement, "Versions is about the bone of the music; taking approximations from past records and turning them inside out. With all framework exposed, the songs are given a new medium in which to evolve and bloom into their own tiny worlds." See the tracklist below. Scroll past that to watch footage of the Guggenheim performance [via Pitchfork].